Vegetarian Vision, a not for profit organization, whose mission is to promote vegetarianism throughout the world, will be getting a new leader and committee while it shifts its focus toward Veganism after a 26 year journey. Founder H.K. Shah announced during a meeting held at Umiya Temple in Edison, New Jersey that he will be passing the baton onto Dr. Shrenik Shah as Vegetarian Vision makes the move toward Veganism. Others who attended the meeting and spoke were Dr. Moiz Kasubhai, Dr. Nimisha Shukla, Edison Board of Education Candidate Shivi Prasad-Madhukar, Dr. Sunil Parikh and Author Uma Swaminathan, according to a press release. 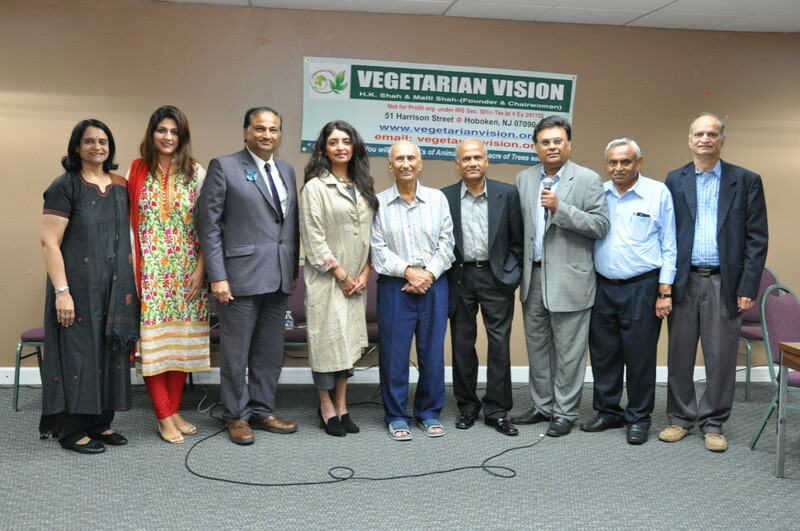 The organization hosts an annual vegan food festival along with educational and nutritional seminars by noted speakers, health panel discussions and more events to spread the awareness of vegetarianism. Some of these events include the Annual Turkey-Free Thanksgiving Dinner, Mr. & Ms. Vegetarian Pageant, Youth Essay Competition, a Yoga and Health Seminar, a Vegetarian River Cruise and several vegetarian cooking demonstrations. Vegetarian Vision is attempting to work with various educational institutions, healthcare professionals, health food restaurants, airlines and animal welfare groups to promote vegetarianism and veganism. Currently, Vegetarian Vision is partnering with Bob DiBenedetto of Healthy Planet, Yoga guru Mark Becker of New Life Yoga, Lauren of PatriJi Yoga and several advocacy groups for Healthy Vegetarian school meals and various other vegan groups in New York and New Jersey. In the near future, Vegetarian Vision desires to collaborate with restaurants that traditionally serve meat, and encourage them to add vegetarian and vegan options to their menus, as the same goes for schools, colleges and hospitals.